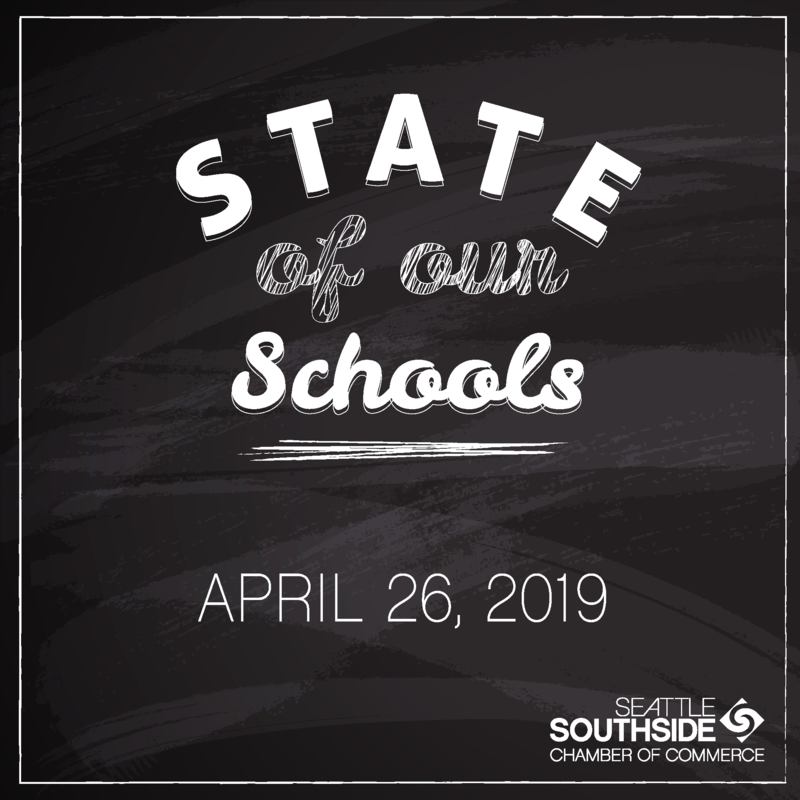 The Seattle Southside Chamber of Commerce is pleased to present its second annual State of our Schools Luncheon, on Friday, April 26, 2019, at Hotel Interurban in Tukwila. This luncheon is presented in partnership with the Success Foundation, the Highline College, and the school districts within the Chamber’s service area of Southwest King County. Attendees will hear from the Superintendent of Highline Public Schools, Dr. Susan Enfield, the Interim Superintendent of Tukwila Public Schools, Dr. Flip Herdon, and the President of Highline College, Dr. John Mosby. This luncheon will also feature a much-anticipated update from the Success Foundation about its upcoming Explorer Post with the NASA ANGeLS Challenge program. “Our organization is proud of the partnerships and relationships within our education system and are thrilled to be able to offer this opportunity for our business community to connect directly with our schools and their leadership.” offered President/CEO of Seattle Southside Chamber, Andrea Reay. The luncheon will be held on Friday, April 26, 11:30 am – 1:00 pm, at Hotel Interurban 223 Andover Park East, Tukwila, WA 98188. The Chamber thanks its host, Hotel Interurban and Event Sponsors, Crain Photography and South King Media. Space is limited at the luncheon so register early to reserve a seat. Register online here: https://www.seattlesouthsidechamber.com/events/details/state-of-our-schools-luncheon-04-26-2019-2768. For more information about the luncheon contact the chamber office during regular business hours at (206) 575-1633 or email Renatta Emerson, Membership and Programs Manager, at Renatta@seattlesouthsidechamber.com.